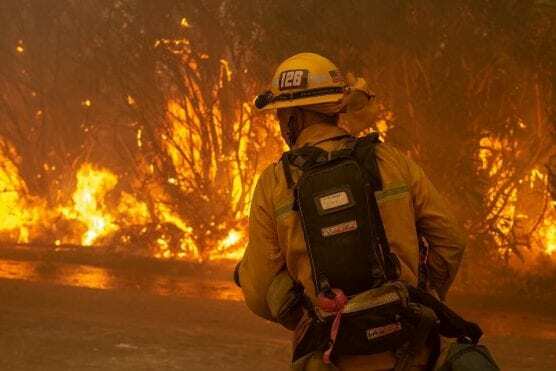 A firefighter battles the Woolsey Fire. Photo: Douglas Morrison, Los Angeles County Fire Department. The U.S. Small Business Administration has issued a disaster declaration for Los Angeles County that will make low-interest federal disaster loans available to businesses and residents impacted by the Woolsey Fire. Announced Friday by SBA Administrator Linda McMahon, this SBA disaster declaration covers Los Angeles, Butte and Ventura counties as a result of the wildfires that began in California this month. SBA can also lend additional funds to businesses and homeowners to help with the cost of improvements to protect, prevent or minimize the same type of disaster damage from occurring in the future. For small businesses, small agricultural cooperatives, small businesses engaged in aquaculture and most private nonprofit organizations of any size, SBA offers Economic Injury Disaster Loans to help meet working capital needs caused by the disaster. Economic injury assistance is available to businesses regardless of any property damage. For additional information and details about the financial support provided by SBA, contact the SBA Customer Service Center at 800-659-2955. Also, Los Angeles County residents and businesses are encouraged to report their Woolsey Fire damage to 211 LA County at www.211la.org.